This book and the photographic images presents a sense of wonder and mystery about water, presenting unusual information - regional, global and astronomical - and then describes ways to conserve this resource that is essential to life - from birth to death. Water Runs Through This Book is written for readers, young and old, “green or not yet green” who are interested in participating through art or action to increase water awareness and water conservation. Through photographs, verse, and narration, this book celebrates the most essential ingredient to life: water. Author and educator Nancy Bo Flood and award-winning photographer Jan Sonnenmair combine imagination and information to explore this ever-changing yet essential element. Water Runs Through This Book is much more than an exploration of how water impacts life on Earth. It is a guide for how readers of all ages can become conservationists and protectors of this endangered resource. 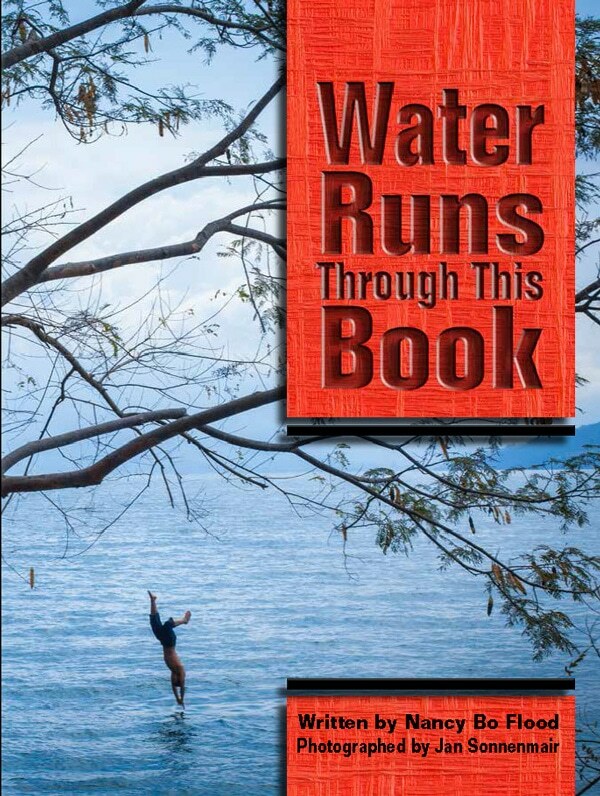 Water Runs Through This Book has been added to the 2016 Green Earth Book Award Qualifying List. The Nature Generation created the Green Earth Book Award to promote books that inspire children to grow a deeper appreciation, respect, and responsibility for their natural environment. This is an annual award for books that best raise awareness of the beauty of our natural world and the responsibility we have to protect it. As part of Utah's Water Week events Water Runs Through This Book by Nancy Bo Flood was chosen to promote an inclusive, diverse, water-wise community in Utah. Copies of the book are being donated to 210 libraries in Utah, and 25 libraries in southern Idaho. Nancy will give talks and workshops at Utah schools and libraries.